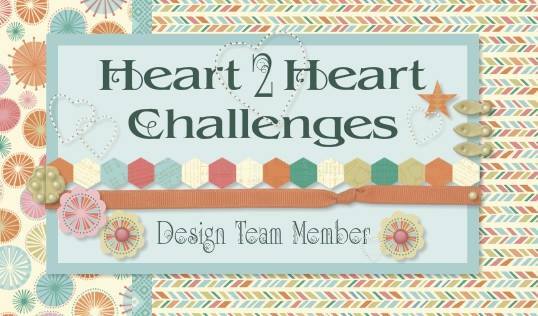 This week's theme at Heart 2 Heart is Favorite Recipe! This may involve food, your favourite sketch 'recipe' or something else entirely- for me my mind immediately went to my food related stamp sets as well as one of my favourite card sketches from the Make It From Your Heart Volume 1 book. 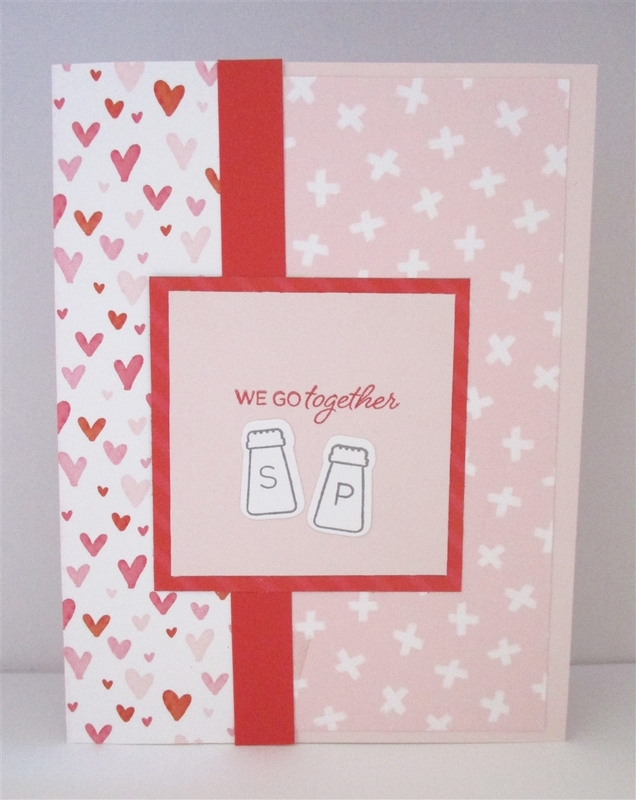 I had my Heart Happy kit sitting on my desk, and this seemed like the perfect combination to go with my stamp set. Off I went. following my sketch recipe, until I had this card. I love pink and red together- do you use this colour combination too? But I didn't stop there- I got inspired to make two more cards using this adorable set as well as two other sketches from the same book. This card is more bold to my eye, but sill uses the same subtle paper patterns to mix in lots of variety for colour and interest. Plus, the sentiment cracks me up! My nine year old son was very confused as to why I was cutting out a cheese grater- but the end result is super fun. 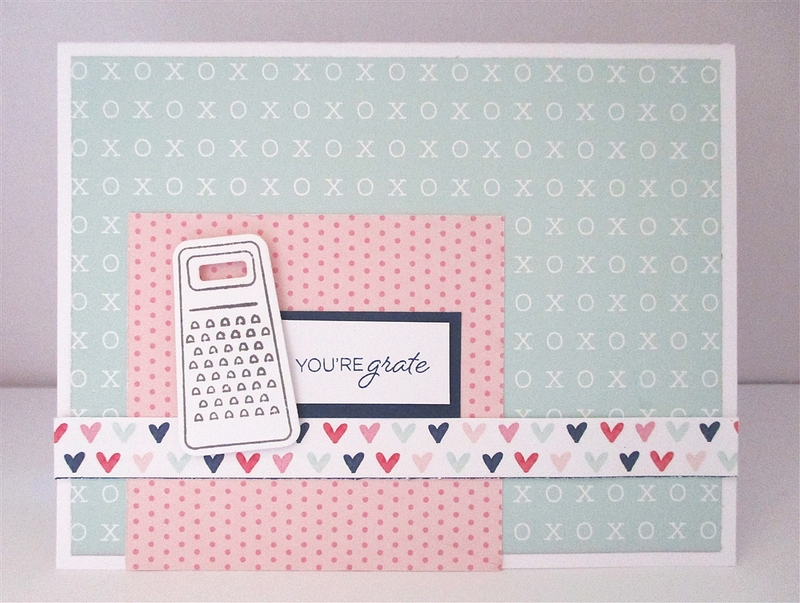 Lastly, I decided to make a non-love themed card using the adorable polka dot paper. 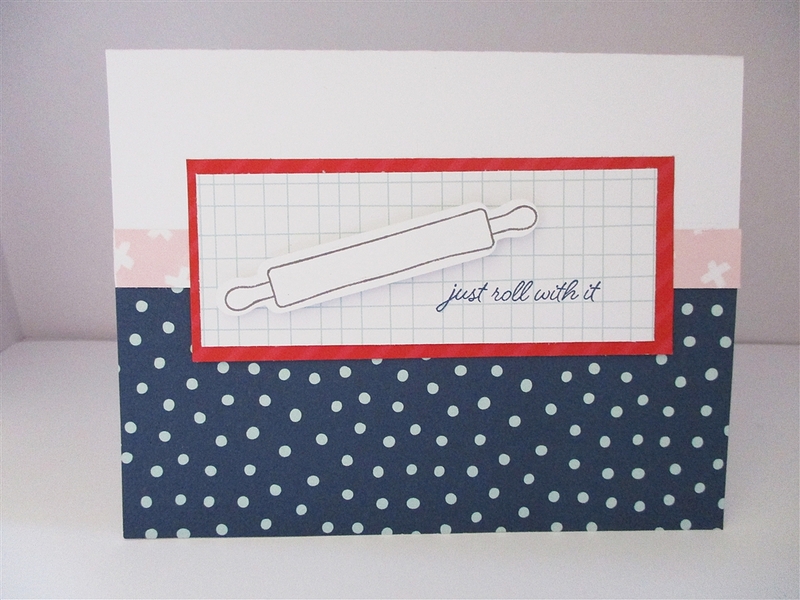 The rolling pin was perfect for the larger square, but you could easily use a large sentiment instead. I had so much fun making these cards, and a mix of old and new product certainly gets my creativity going! I encourage you to try mixing old with new, and finding a favourite sketch recipe that you can use over and over again. All three of these came out adorable! I appreciate clean and simple cards, tasteful and fun at the same time. Nice job.